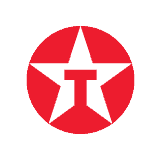 The Texaco nationwide fuel card, known as Fastfuel is ideal for cars or mixed fleets providing your organisation with real savings on your petrol and diesel costs. One fixed fuel price across all these fantastic brands, Shell, Total, Circle K, Esso, Gleaner and Texaco, applied to both diesel and unleaded. Weekly diesel prices are available in advance by email or fax on request. And as a bonus collect Shell Drivers Club points when refuelling with Shell.